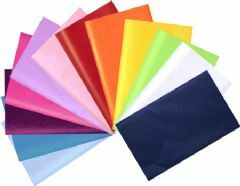 Tissue paper is great for a whole host of applications from general wrapping and interleaving to void filling and craft use. It is great for improving the appearance of your products. It is soft and manageable, whilst it is chlorine and acid free so it will not harm your delicate products. Use it for cushioning and displaying anything from glassware and china to jewellery. 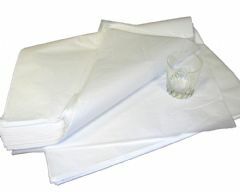 We stock tissue in pure white and also in a wide selection of colours.